Why don’t you take a break from checking the Bitcoin price? Go outside, take a walk. Oh crap, it’s chilly. You need something warm. How about our Cryptoscarf? 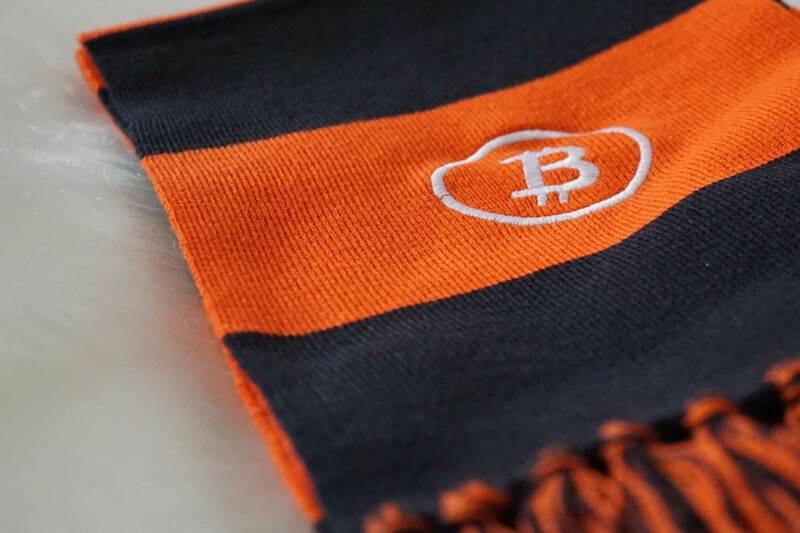 It’s cozy and FUD repellent. We’ve been working on diversifying our offer lately. 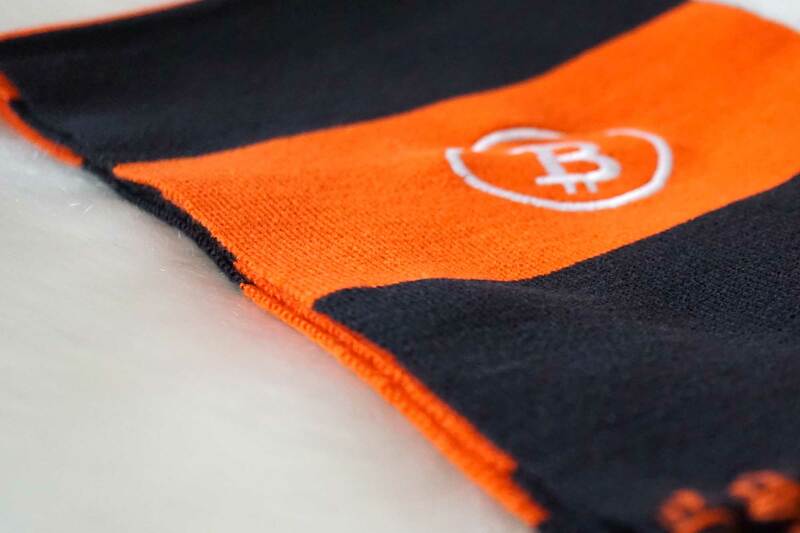 Cryptoscarf is a result of that. Wrap it around your neck while you’re taking a break from checking the price and refreshing Reddit. Yeah, we know you’re doing that way to often. It’s 100% acrylic. 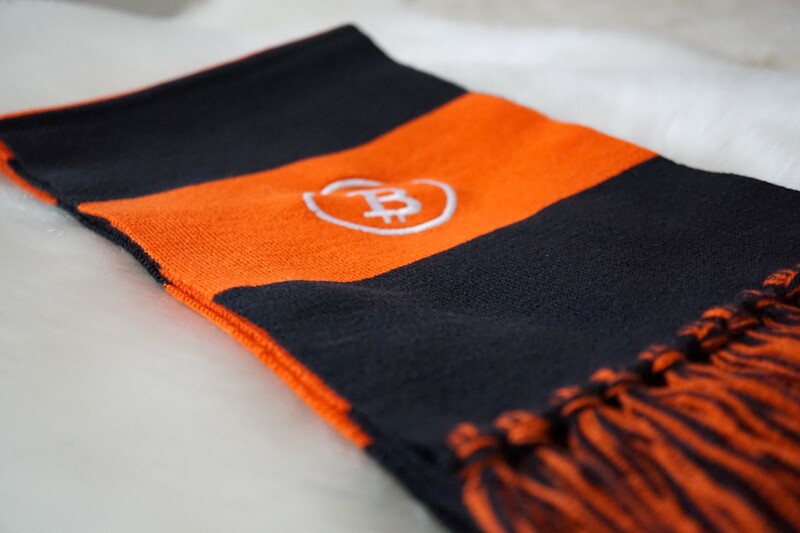 Dimensions of the scarf are 61 inches x 8 inches (155 cm x 22 cm). 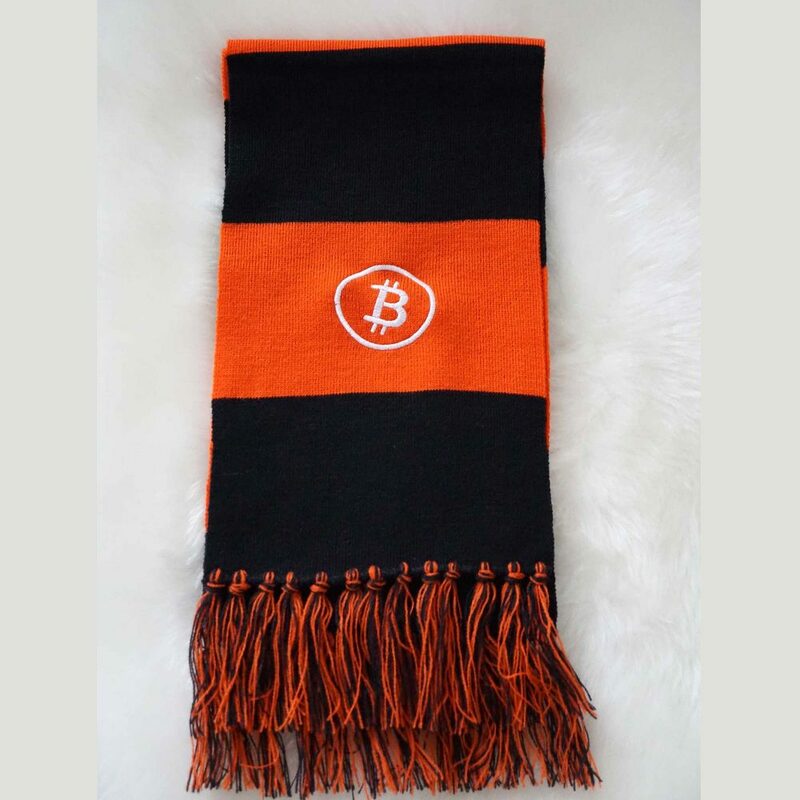 We’ve done our best to choose the most attractive color for the Bitcoin scarf orange and black. 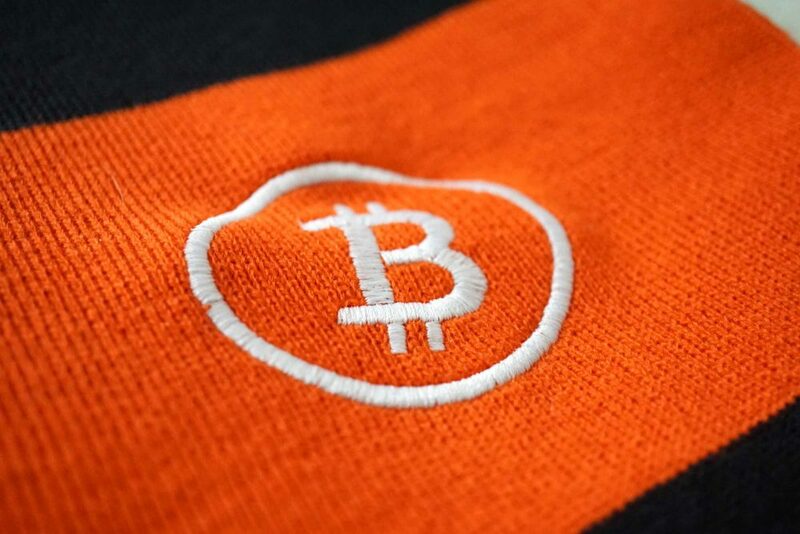 The best part, it has an embroidered Bitcoin logo on the front. 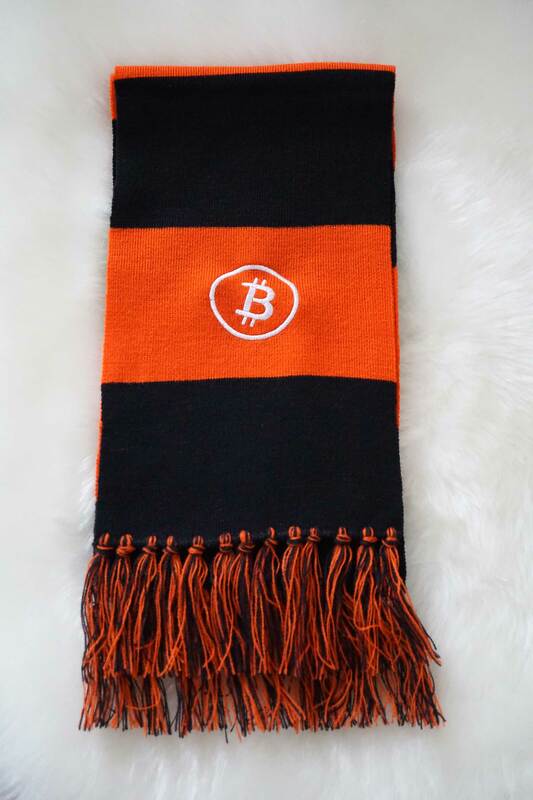 Made from 100% acrylic, our scarf will keep you warm while you’re getting shivers each time China bans Bitcoin. Relax, no more FOMO. You’ve got a comfy scarf. Carefully hand-stitched and embroidered Bitcoin logo on the front of the scarf. Want to go stealth ninja mode? Turn it on the back or on the other side. 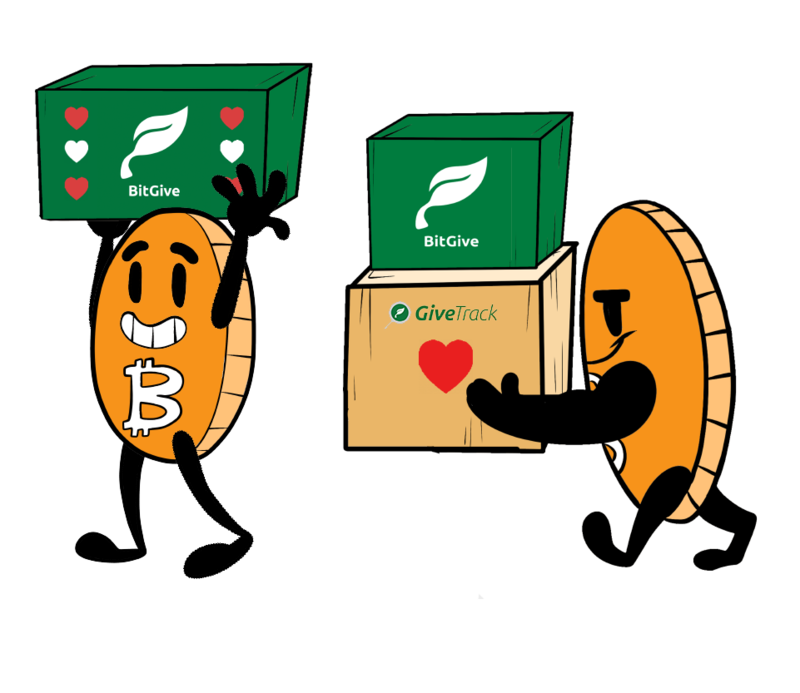 Have some crypto to spare? No worries. We got you covered. 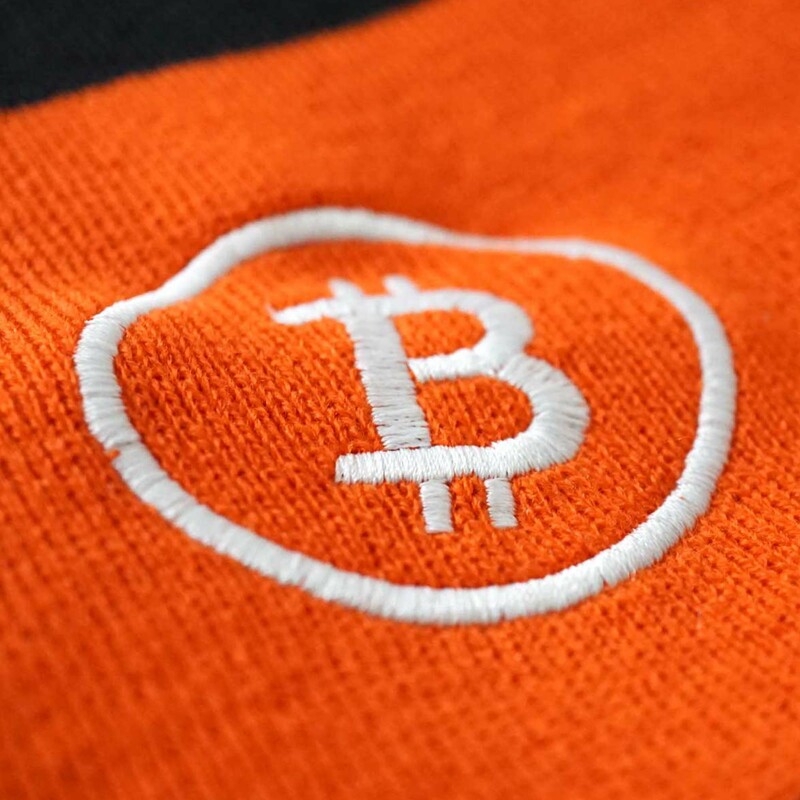 Pay your order with Bitcoin, Litecoin, Ether, zCash, Dash and many other cryptocurrencies. Prefer fiat instead? 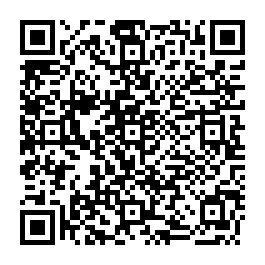 We accept PayPal as well. Nice scarf and embroidered logo. 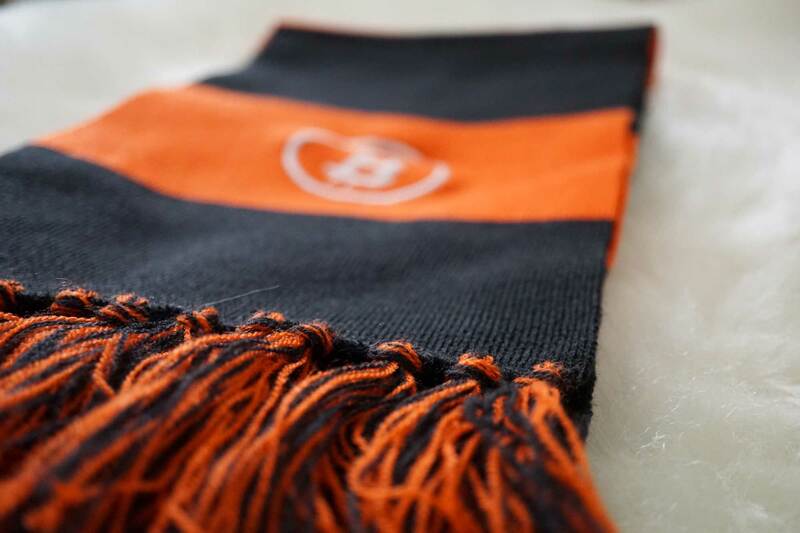 Never had a ‘spectator’ scarf before, much lighter weight than grandma’s woolen knitted type scarfs. Has nice fabric feel and is warming. Fast shipping to UK. Cheers.